In Africa, we are very fortunate with abundant sunshine. A backup generator or alternative back up power source may be necessary to supplement your electrical demand and recharge the batteries during times when the batteries are inadequately charged due to very bad weather patches or other unforeseen circumstances. 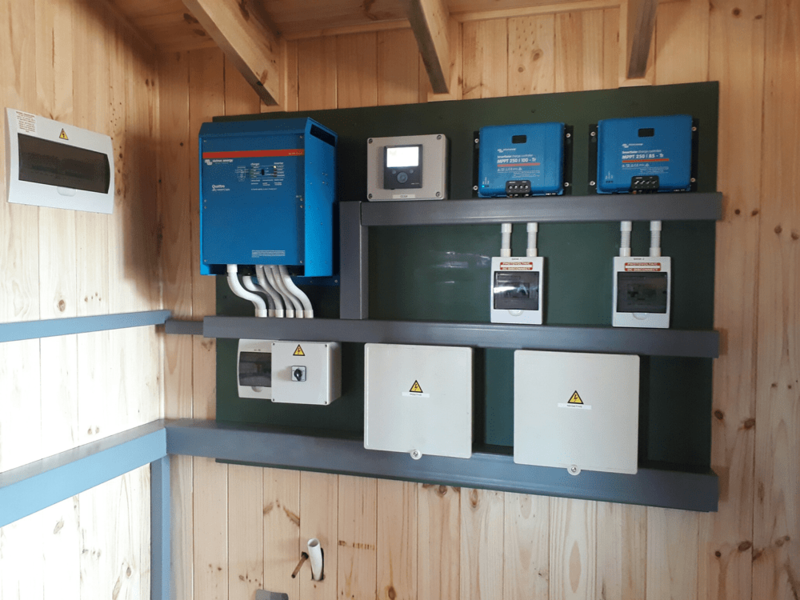 We recommend that the size of the backup power source should be adequate to supply energy to your house and charge your batteries at the same time. 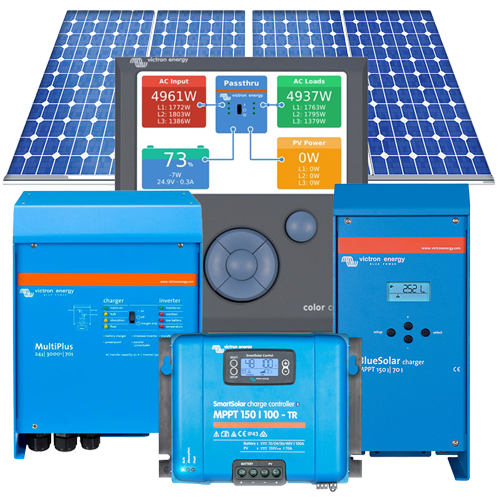 Below are selections of our most popular, complete and proven residential or domestic off-grid solar systems with different sizing options designed by Specialized Solar Systems. 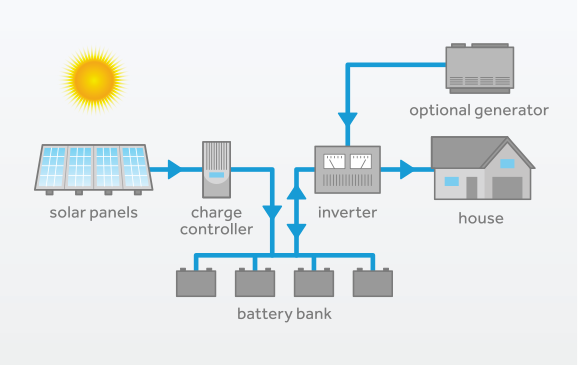 This selection of off-grid solar systems should give our customers an overview of all the quality components used with explanations to help you assist with your off-grid solar power system energy generation planning.